Dora Kripapuri earned her B.A. from Luther College in Decorah, IA in 1995 and her J.D. from New England Law in Boston, MA in 2002. 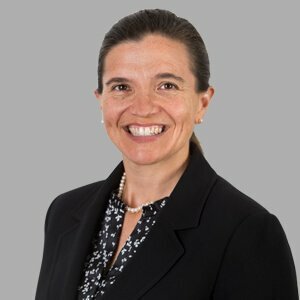 Before joining Cranfill, Sumner & Hartzog LLP in 2018, Dora was a former adjunct professor of writing, representation, advocacy, and persuasion at Mitchell Hamline School of Law in St. Paul, MN, and practiced complex business litigation in Minneapolis, MN. Prior to that, Dora practiced business litigation in Boston, MA, and served as a Special Assistant District Attorney in Boston, as well. Dora now serves as Director of Legal Recruitment & Development for Cranfill Sumner & Hartzog LLP. She is responsible for the firm’s recruiting, hiring and training processes, law school visits, and summer clerk program. Dora also coordinates the firm’s mentoring program and serves on the Associates Committee and the Diversity and Inclusion Committee. Cover letters and resumes for any attorney opening may be submitted electronically or by mail to Dora at dkripapuri@cshlaw.com.